Join teens from all over South Florida for the best teen event of the year! South Florida Chanukah Teen Event! 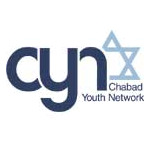 huge Chanukah party for teens 14-18 of South Florida. The event will be Sunday December 2nd at 4:30pm. * We will also have incredible raffles. * All the teens will sit together. * The cost per ticket and light dinner is only $15! !